Ahh, summer – it’s well and truly over. But one person in the world is able to enjoy the warm, cheery feeling of summer every single day: the proud new owner of this beautiful Oscilloblock – Summer Dusk edition! 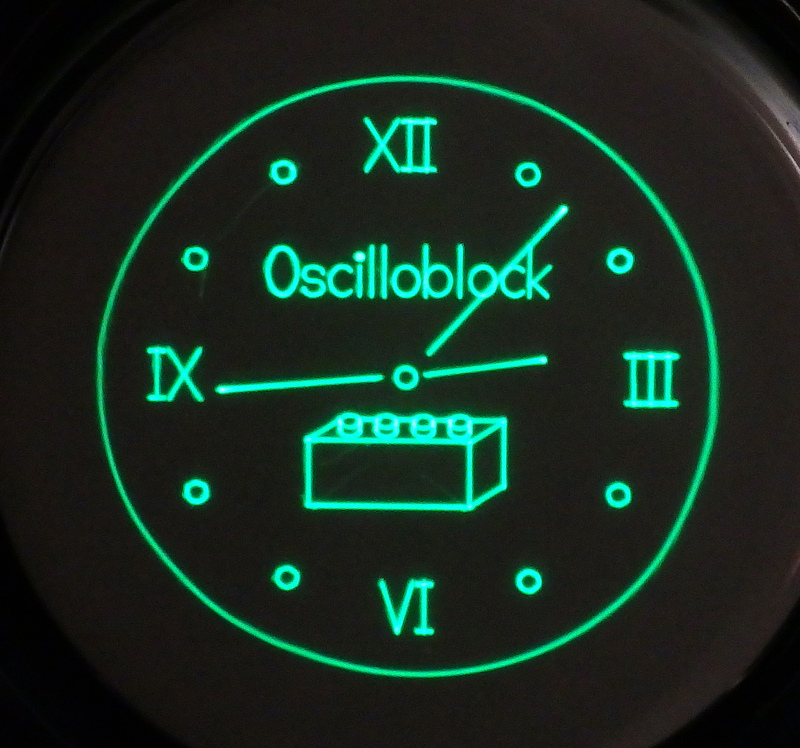 Truly the best thing to come out of the lab this summer – the Oscilloblock! 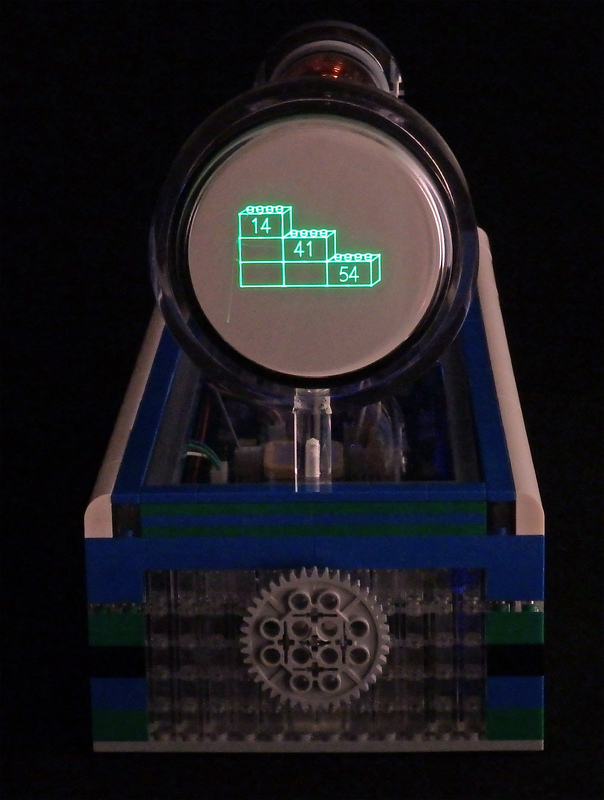 This playful timepiece features a Lego art case, painstakingly designed and constructed by Oscilloclock lab’s junior technician from a whopping 548 brand-new Lego parts sourced from around the globe. No expenses spared! Even the control knob is actually a Lego Technics gear. And just in case the owner wanted to take it apart and build it all over again, we included a 140-step Lego building guide in the package. Good luck! 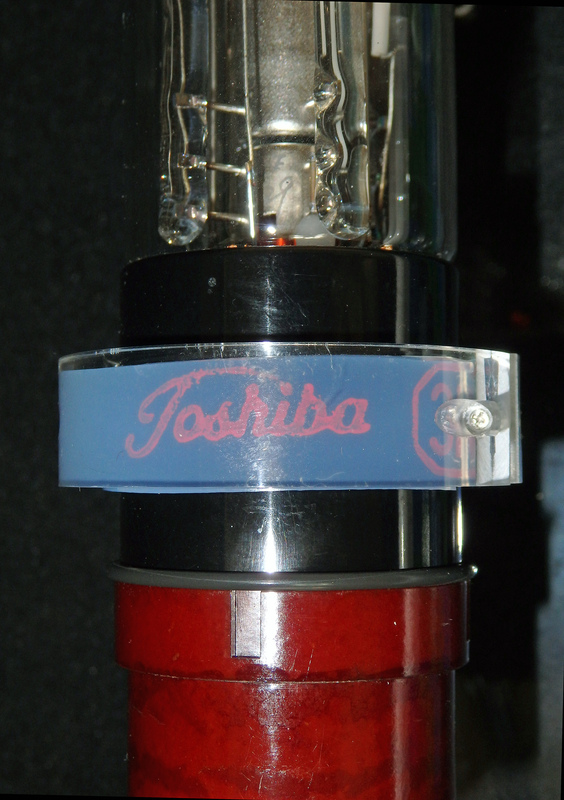 The Oscilloblock features a good-looking 1970’s 3-inch (75mm) flat-faced CRT from Toshiba, with the iconic scripted logo in great condition on the base. At the rear is a scarce brown bakelite CRT socket, which are very hard to find complete with the rear insulating cap! 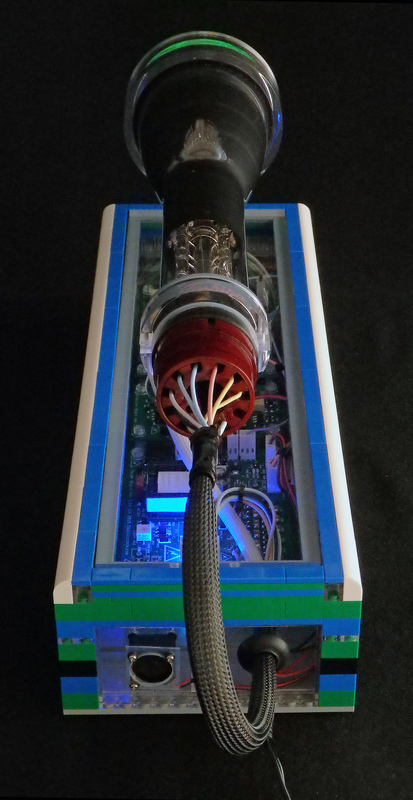 The harness consists of tough 3kV tolerant silicone-sheathed cabling, shielded over most of its length to reduce electromagnetic interference. Wow, these vintage bakelite CRT sockets are hard to find! 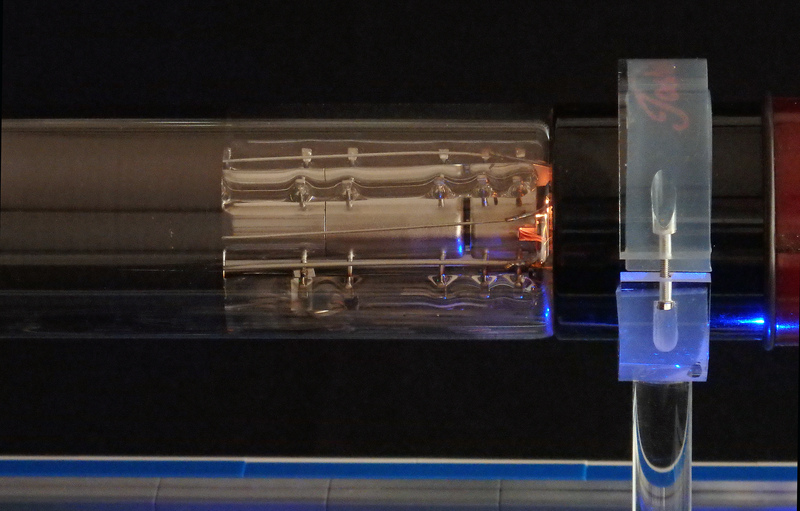 One design goal was to have more than 90% of the CRT’s surface area completely exposed for viewing and touching, as opposed to encasing it in acrylic. Borne from this was a tremendous achievement for 2015: a new CRT ring support structure! Acrylic rings with super-tiny pocket holes… cast and machined in Japan! The internals of the clock are equally exquisite. 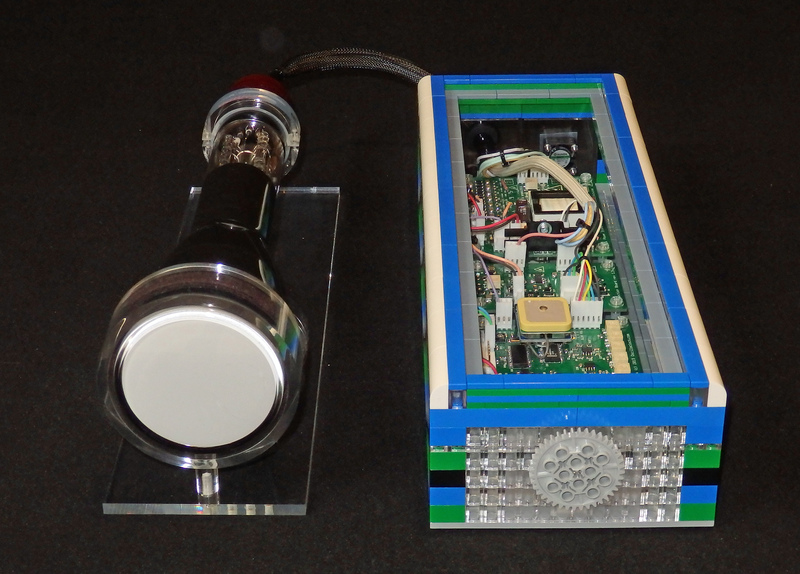 A set of latest-revision Oscilloclock control, deflection and power boards drive the CRT at 2.1kV, providing a crystal-clear, ultra-bright trace. And of couse, every figure and character is generated using silky-smooth Circle Graphics. 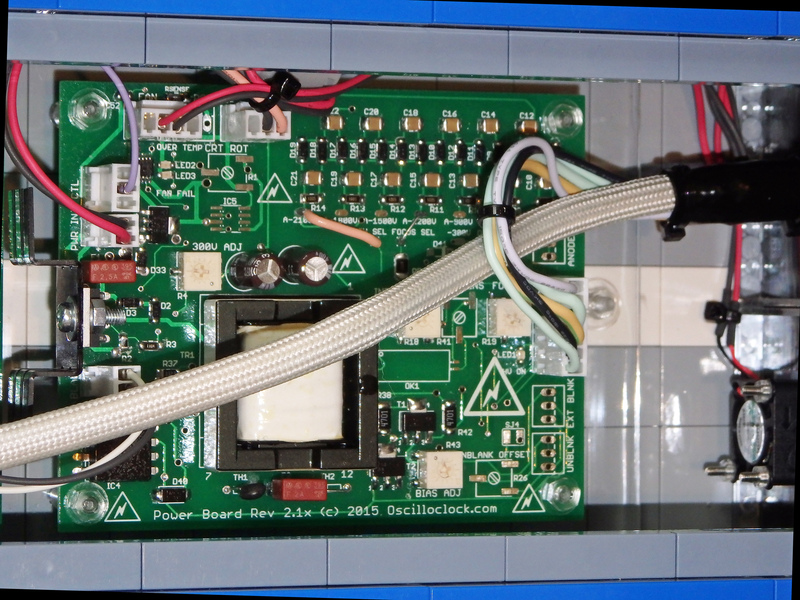 Latest-revision boards. 250+ components. All hand-mounted! On-board GPS for accurate timing – anywhere in the world! There is only one control. It’s intuitive. It’s fun. It’s simple! 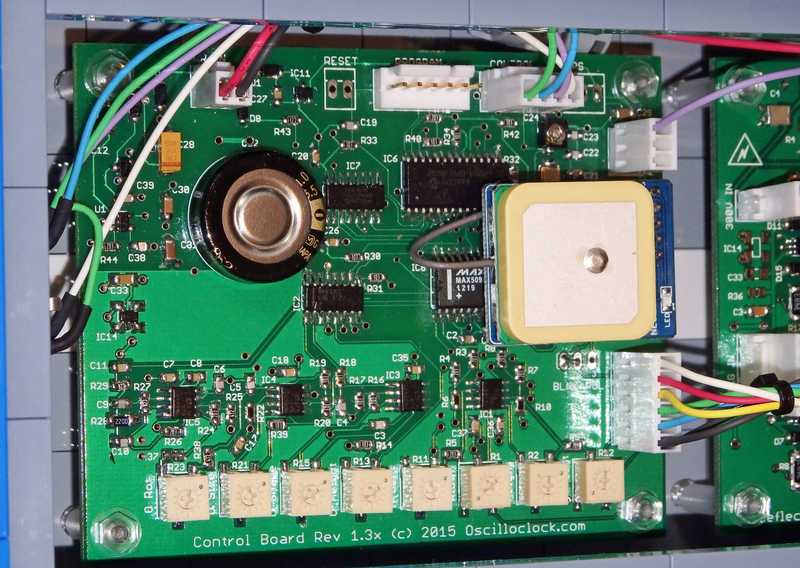 Visit my YouTube channel to see various Oscilloclocks in operation. 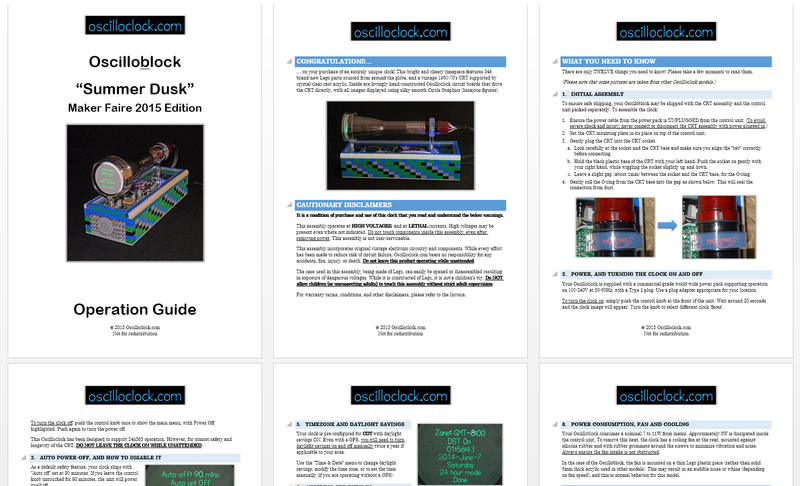 No Oscilloclock model ships without a decent Operation Guide! 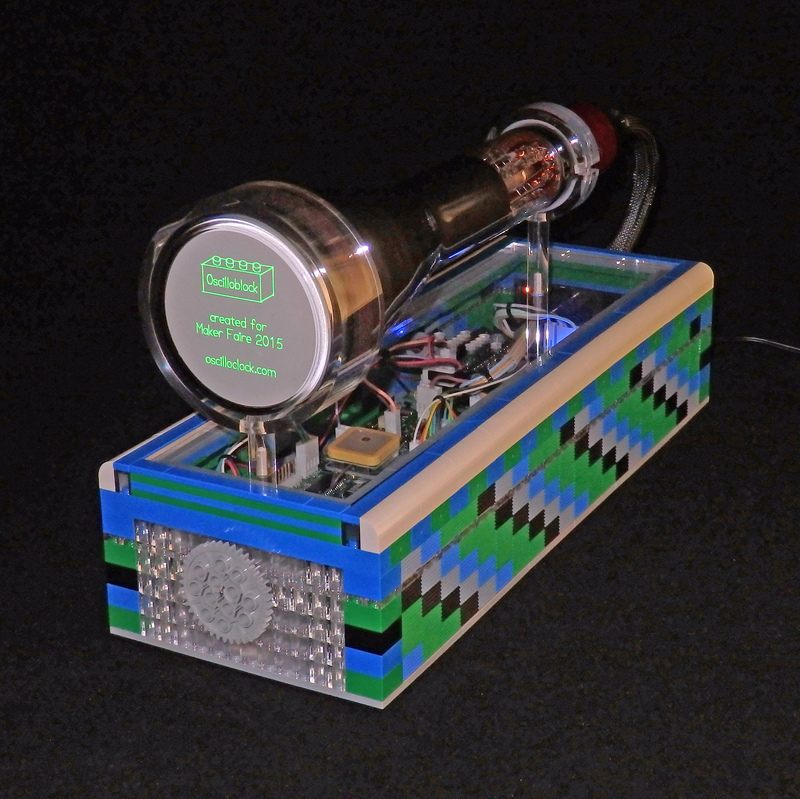 There’s really no limit to what can be done with a CRT and an idea! It was my son’s idea to use Lego, and he is proud to know there is nothing in the world quite like this Oscilloblock. See the Gallery for other equally unique creations.